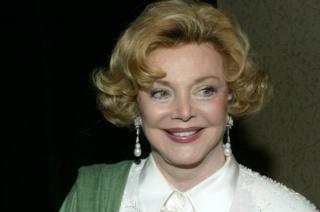 Barbara Sinatra, the philanthropist and widow of singer Frank Sinatra, has died at the age of 90, a spokesperson said. John Thoresen, director of the Barbara Sinatra Children's Center, said Mrs Sinatra had died of natural causes. She passed away at home in Rancho Mirage, California, surrounded by family and friends, he said. The former model and Las Vegas showgirl was a committed, high-profile advocate for abused children. In 1986, she and Frank set up the Barbara Sinatra Children's Center in Rancho Mirage, near Palm Springs. The non-profit facility provides therapy for children who have been physically, sexually and emotionally abused. "Barbara started raising funds for it in 1985 with Frank's support," Mr Thoresen said. "It opened in 1986, and since that time over 20,000 children have received beneficial therapy here. "There are several child advocacy centres like it around the country, [but] this one is probably most recognised." Mrs Sinatra wed Frank in 1976. She had been married twice before - including to Zeppo Marx, youngest of the Marx Brothers comedy team - while he had three previous wives. The pair had been married for 22 years when the much-loved singer died of a heart attack, aged 82. Mrs Sinatra is survived by her son, Robert Oliver Marx, his wife Hillary, and her granddaughter, Carina Blakeley Marx.